Photos by Jenxi, photographer portfolio. 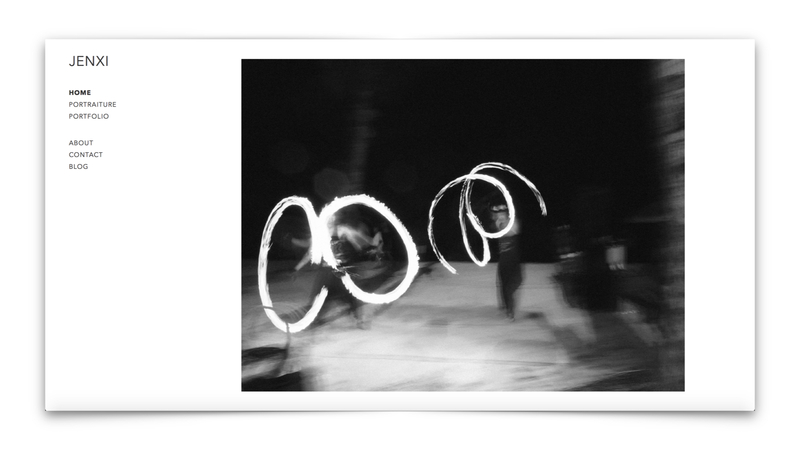 Our co-founder Jenxi is a passionate photographer. 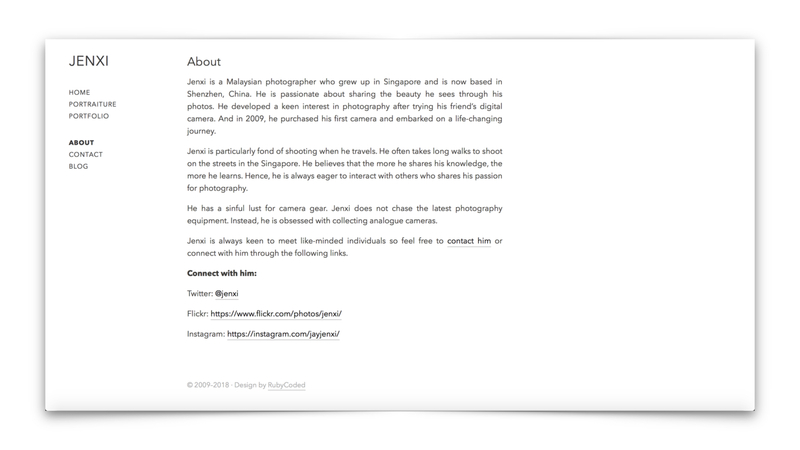 He designed a minimalistic portfolio that allows easy scrolling through different sets of photos and projects. The website uses a simple but highly effective way of browsing photos in an uncluttered view. The design is responsive, making it a great experience to view both on desktop and mobile.